By now you probably know that I love jewellery. I love collecting it and displaying it prettily in my room as much as I love wearing it. Layered bracelets are one of my favourite kinds of jewellery to wear, so when the lovely Shamayne who owns The Rose Chain contacted me asking if I would like to review some of her collection, of course I said yes! Shamayne kindly sent me three bracelets which I picked out myself- I own so many bracelets with these skull beads now but I love them! They came in simple but well-branded packaging, with a business card which is always a nice touch. The bracelets are absolutely beautiful; even more so than they look on the website! 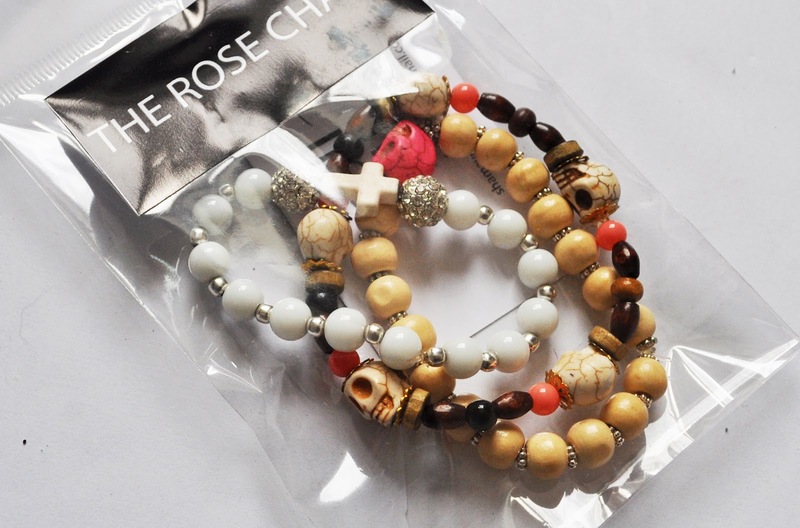 I'm absolutely in love with the colours and shapes of the skull and wood bracelet. The white bracelet is surprisingly weighty with it's shamballa-style beads, but I think this just indicates the quality of the bracelets. They are all made with strong elastic so they will fit nearly any wrist. I love stacking up the bracelets; I think the ones I chose look beautiful together. Shamayne makes bracelets in tons of other designs and colours too- I am currently eyeing up this Pink Peace Sign bracelet. If you would like to check out The Rose Chain, you can visit the etsy store here. You can definitely tell how much care has gone in to making each piece, and postage is only £1.00 to the UK, so what have you got to lose?! 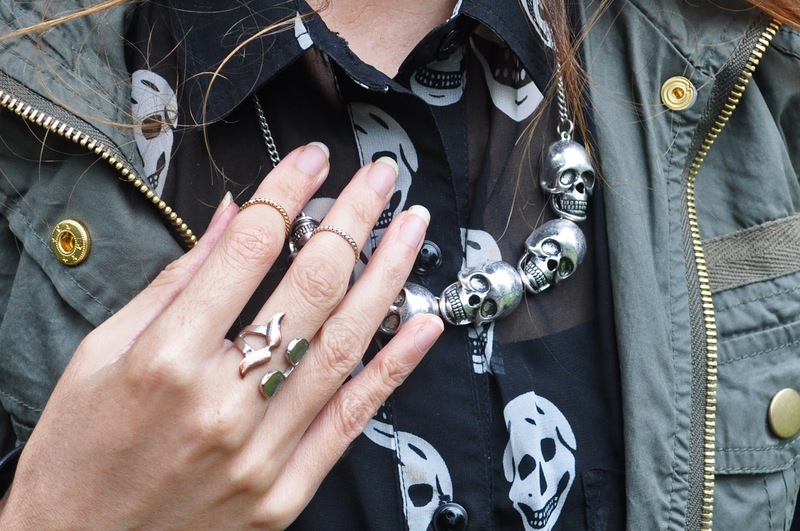 Are you as obsessed with these skull bracelets as me? 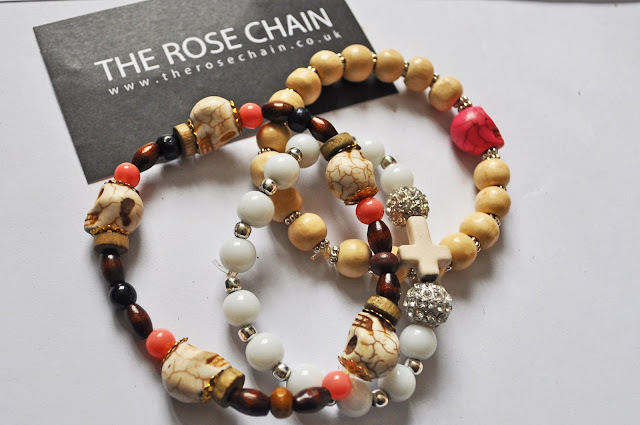 Have you purchased anything from The Rose Chain? *DISCLOSURE: These items were sent to me free of charge. My opinion is still 100% honest and my own. I am enjoying buying knitwear for Autumn/Winter, but I love finding pieces that are a little different from your average jumper. I don't know why this one caught my eye; I just think that the alphabet print is a really quirky idea! I love the print on this top- it's so unique! 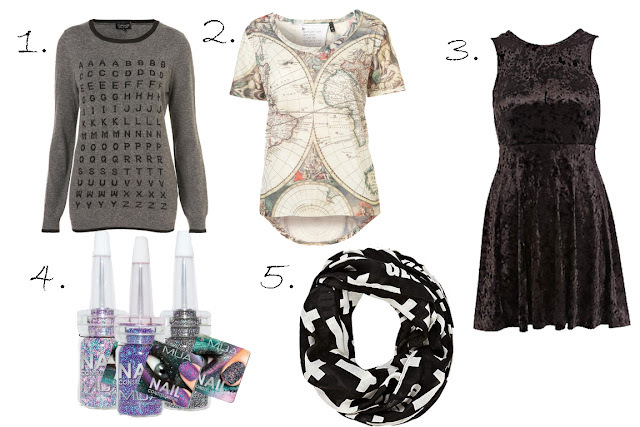 I think it would look great worn with plain black leggings and leather jacket- the detail on the map print means that you can keep the rest of your outfit simple. 4. MUA Nail Constellations £3.00 each. I wasn't that excited about the release of the Ciate Caviar Nail kits- They were just so overpriced for what they were and to be honest, I just didn't understand why you would want to look like you were wearing fish eggs on your nails. However, at £3.00, I think I can afford to give the MUA version a try- I love the colours available and I think Constellations is a much more appealing name! 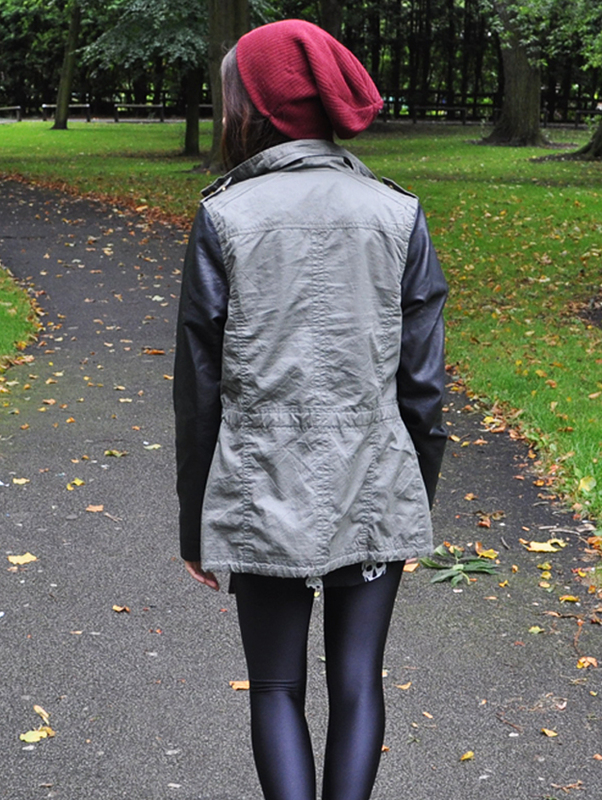 Finally, the rain has held off and I am back with an outfit post! 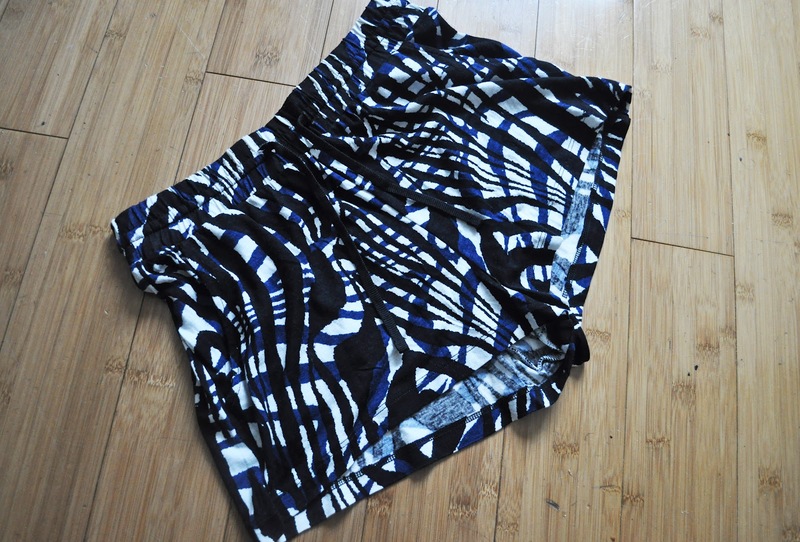 I received this dress in a very lovely surprise package from Glamorous a few weeks ago. I was initially a little worried when I first saw it as I hadn't worn anything tartan since my "emo" phase back when I was fourteen and since then I had associated it with that or those trashy school girl outfits that people wear for fancy dress parties. As soon as I tried it on, however, I was converted. I love how the colours are quite subtle and not too in-your-face; I think they are perfect for Autumn, too! I hope you like my outfit! 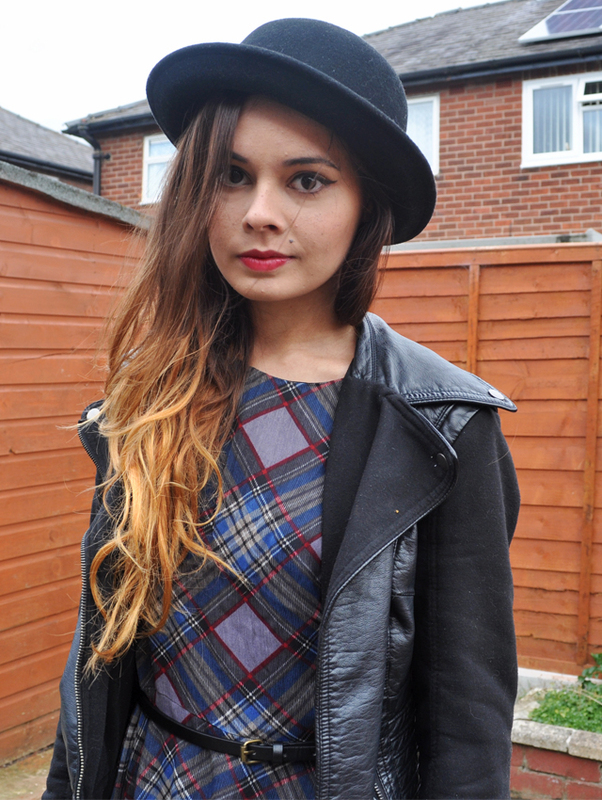 Are you in to the tartan trend? I am back at uni now as a third year student- So scary! I am absolutely dreading starting my dissertation! I am thinking of using Mondays and Tuesdays as my days off from blogging whilst I get settled back in to my uni routine as these are the days that I have classes and the last thing I want to do when I get home is sit typing away at my laptop (train journeys knock me dead)! I am also very excited for Liverpool Fashion Live, which is a new fashion event in Liverpool taking place in a couple of weeks. I will be modelling a few outfits on the catwalk on the night and possibly doing some blogging things aswell- I hear there is going to be some amazing entertainment and lots of stalls to browse around at! If you would like to see some more information, you can check out the LFL website here or their Facebook page here. Are you attending or getting involved? That's all that is really happening in my life right now; I'm wild, I know! Haha, the weather seemed to have improved a lot today so hopefully I will be able to go out and take some outfit photos tomorrow and have a new post up tomorrow night! 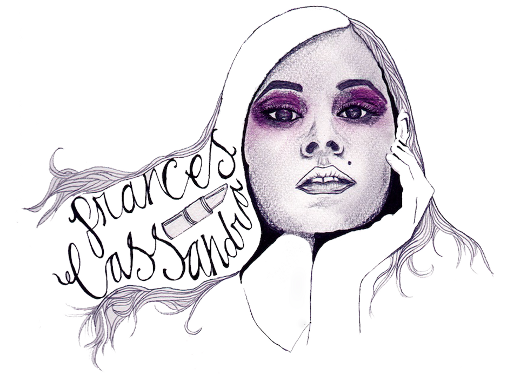 :) I also have a few beauty reviews coming up- It feels like forever since I last did those! It isn't often that I write a blog post about competitions, but this is one that I just couldn't pass on. 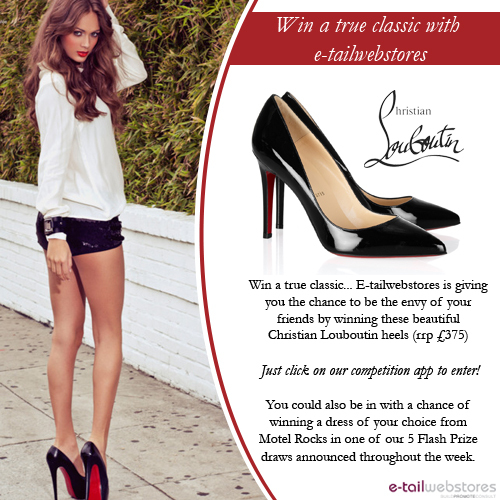 The lovely people over at E-tailwebstores are offering a pair of classic Christian Louboutin heels worth £375 to one lucky winner- Amazing! The giveaway is being held on their Facebook page, so if you would like to be in with a chance of winning (and why wouldn't you?!) head over there now and enter! This is one of my favourite new blouses from Glamorous- I have actually had people stop me and ask where I got it from! It's sleeveless so it's not going to be the greatest for keeping me warm (I'm sure they do a long-sleeved version too! 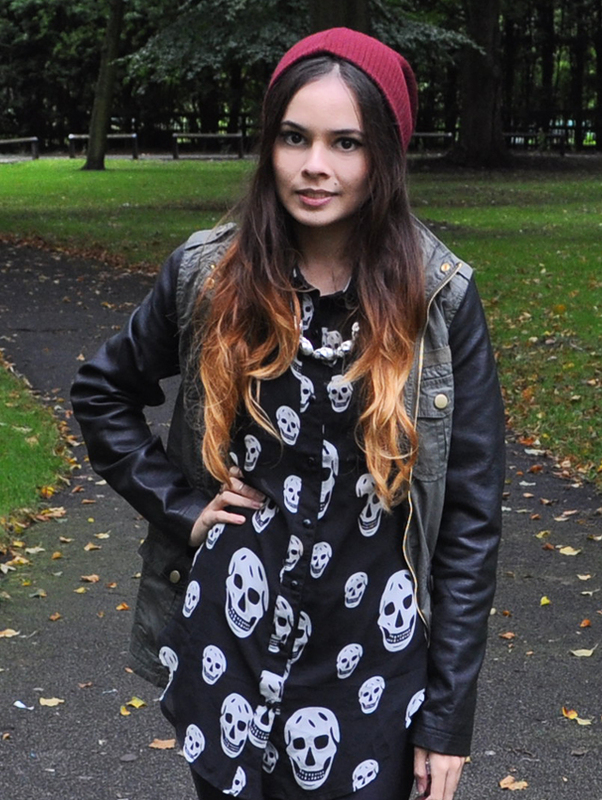 ), but it is great for layering and I love the skull pattern and the long length. I'm not usually one for very busy prints but for some reason this dress caught my eye and I can actually imagine myself wearing it. I think the reason I love it so much is because there is so much pattern and detail to look at- I especially love the rose print in the middle. 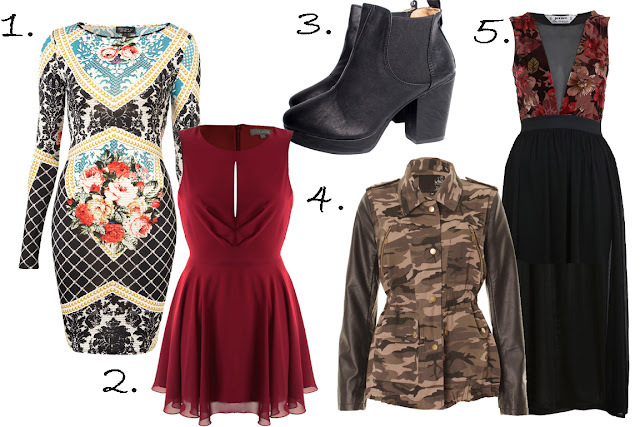 Like I said in my last wishlist, I just can't get enough of the burgundy pieces that have recently popped up at LOVE. I love the pleat and key hole detail on the bodice of this dress, it is a unique little touch! 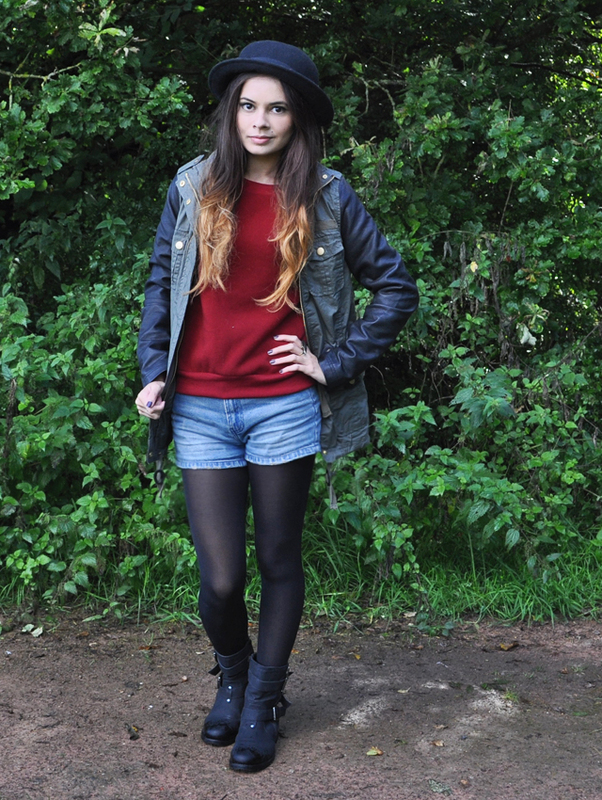 I live in boots in Autumn/Winter (heck- I love wearing boots in the Summer, too!) so I really want to start stocking up on different styles. 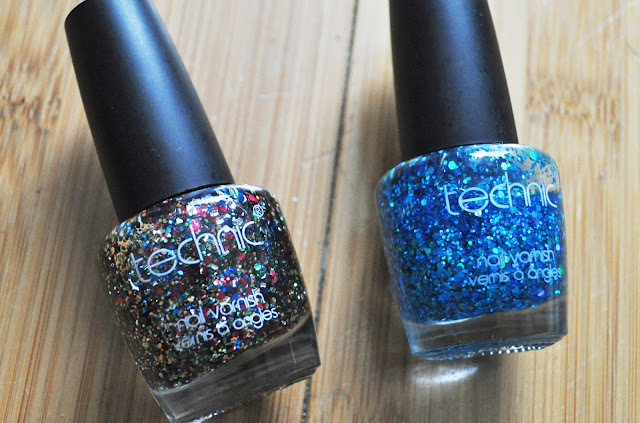 I have always loved the look of the Topshop Allegras and these are a lovely dupe for a very affordable price! I finally got my hands on the Primark version of the ever-popular khaki/leather contrast jacket, which I adore- but now I have also fallen in love with this camouflage version from Lavish Alice! I love the tapestry-style print on this dress and the low V-cut mesh neckline. I never know how to style maxi dresses/skirts for nights out, but I think this one is perfect because of the darker colours in the tapestry print and the low V-cut mesh neckline. It's starting to get a lot chillier in the mornings now; Autumn is definitely on it's way. No doubt I'll be complaining about the cold weather soon, but at the moment I am excited to be layering up in jumpers and knitwear. 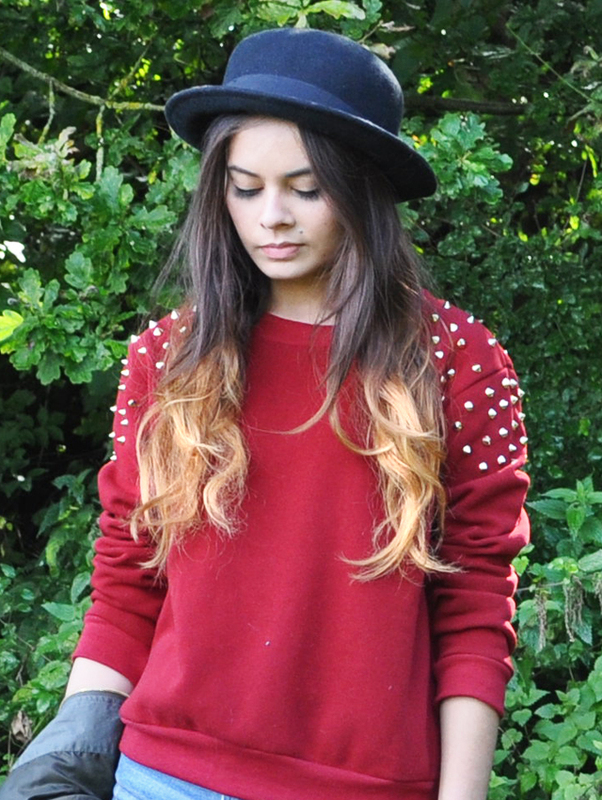 This jumper from Lavish Alice is a new addition to my wardrobe and I know I am going to get a lot of use of it over the upcoming months. It is fleecy on the inside and so cosy, and the stud embellished shoulders feed my rather unhealthy stud obsession. I also went and bought this jacket from Primark the other day (one of the bad things about studying in Liverpool is I can't resist mooching around town after my lectures!). At £25 it is definitely the cheapest alternative to the infamous Topshop and River Island jackets but I think it looks and feels just as good- It isn't the warmest jacket but it is great for layering and for milder days. I hope you like my outfit! 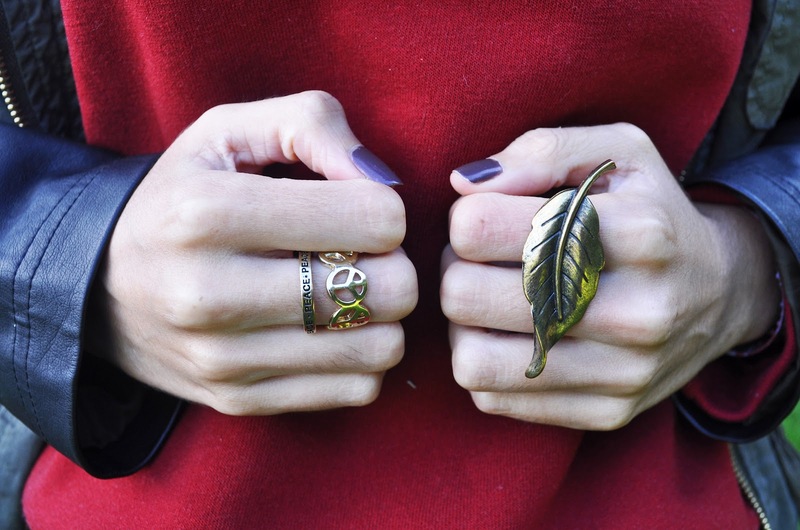 Are you excited for Autumn/Winter? I had regularly seen adverts for Achica on the TV but had never really paid much attention to them so I didn't know a lot about what they had to offer. However, after the lovely Michael contacted me about writing a review on their service I did a quick Google search to see what it was all about. I am a little bit of a perfume freak at the moment so I decided to buy a few bottles to add to my collection (and share with my mum!). I can't remember the RRP of them individually, but all together I saved a huge £57.24 by buying them from Achica! The process of ordering was fairly simple; I just had to register my details to become a member and then I was free to browse through their promotions. They have a calendar which shows two days in advance so you can see what things are coming up, but the promotions usually last between 24 and 72 hours so make sure you don't miss the ones you are interested in! If you click on an item you are interested in, it will tell you how much money you would save on that product and also when the expected delivery date is. All of my perfumes had an expected delivery date of between September 11-18, and I made my order on August 18. They arrived yesterday (September 17), which seems like a little long to wait for a delivery but I didn't mind too much as the products get shipped to Achica from the brands for checking and repacking, and it wasn't an urgent order. Different products have different expected delivery days however, so make sure you check that if you need your items by a certain date. My perfumes arrived packaged well in bubble wrap so there was no chance of them getting damaged in transit. 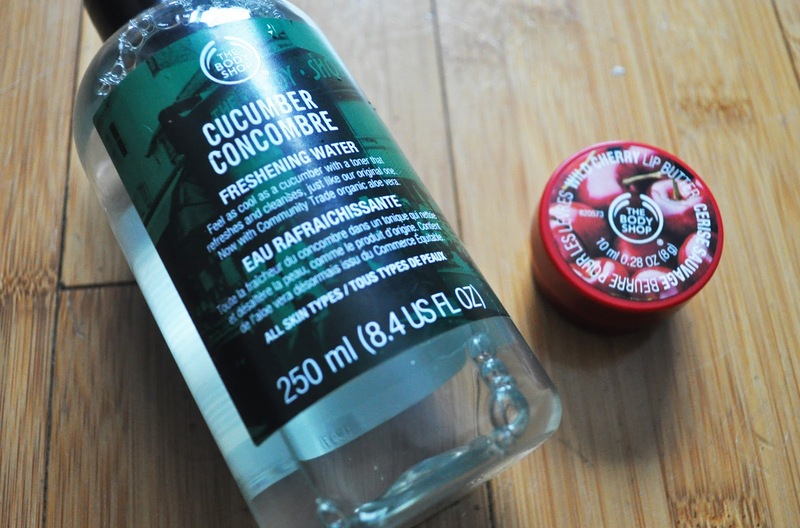 Overall, I am very happy with my experience with Achica, and I think this website is a brilliant idea if you are able to shop within a higher budget as you could make a great saving! It is also worth having a look for gifts on there as they stock some lovely things- I will definitely be doing this from now on, some of the other things I had my eye on were Pandora bracelets and charms, designer watches and hand bags! Have you ever purchased via Achica? 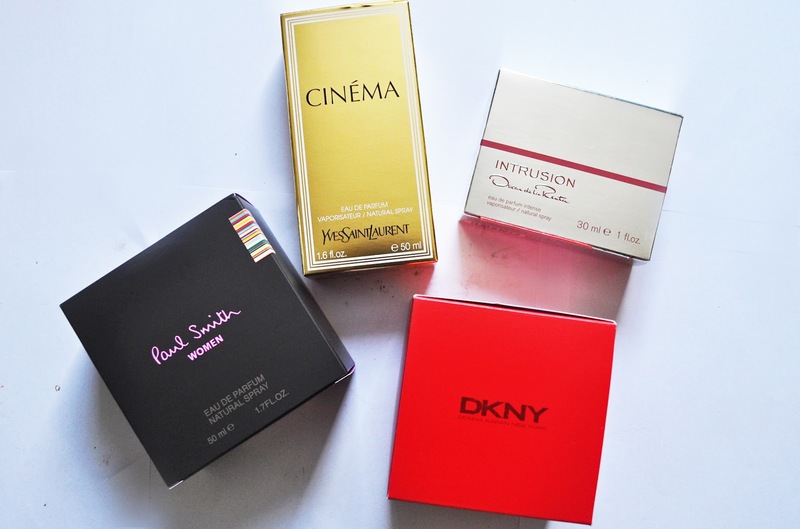 Also, let me know if you would like a write-up on any of the perfumes I ordered; I love them all! *DISCLOSURE: The items in this post were paid for using a voucher code that I was very kindly provided with. My opinions are still 100% honest and my own. 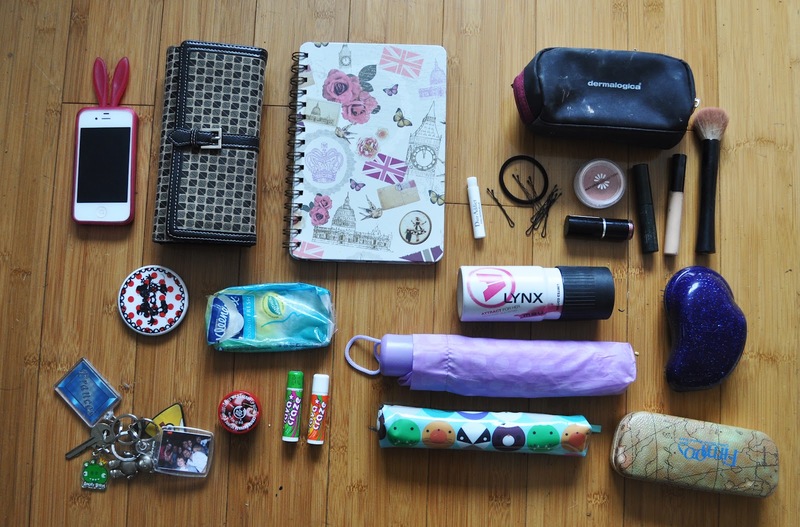 Finally, I am here with my updated What's In My Bag post! 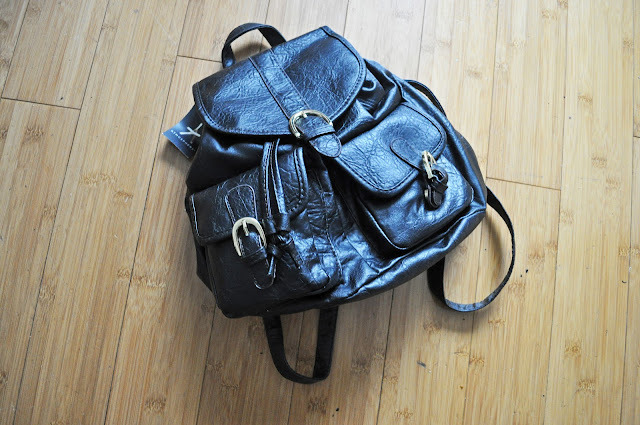 I did one of these last year when I first started blogging and have been meaning to do an update for a while but I needed a new bag as my old one was falling apart. 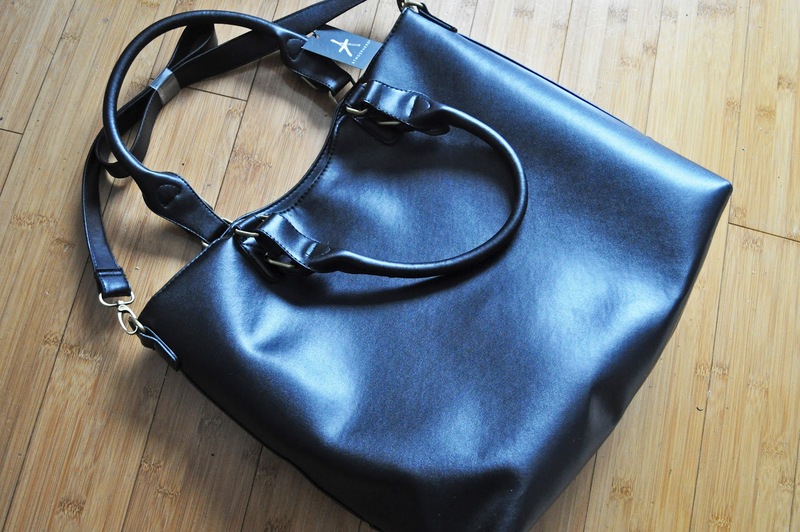 Primark is usually my go-to place for bags- I have never been much of a handbag girl so I tend to just buy one and then use it to death before purchasing another, so I don't see the point in splurging on an expensive Mulberry piece. 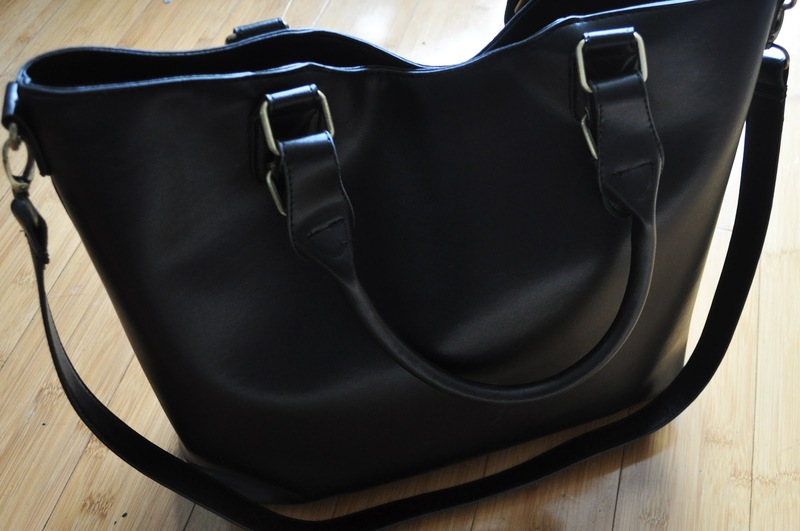 My current bag is one that seems to have taken the blogging world by storm, and I couldn't resist jumping on the bandwagon! It is the perfect size for fitting all my things in and I love that it also comes with a detachable longer strap. One thing that bugs me about Primark bags, however, is the lack of a zip as I am always cautious about the safety of my belongings, but I suppose at £12 I can't complain! The contents of my bag is pretty consistent and I don't normally find myself needing to swap things out. 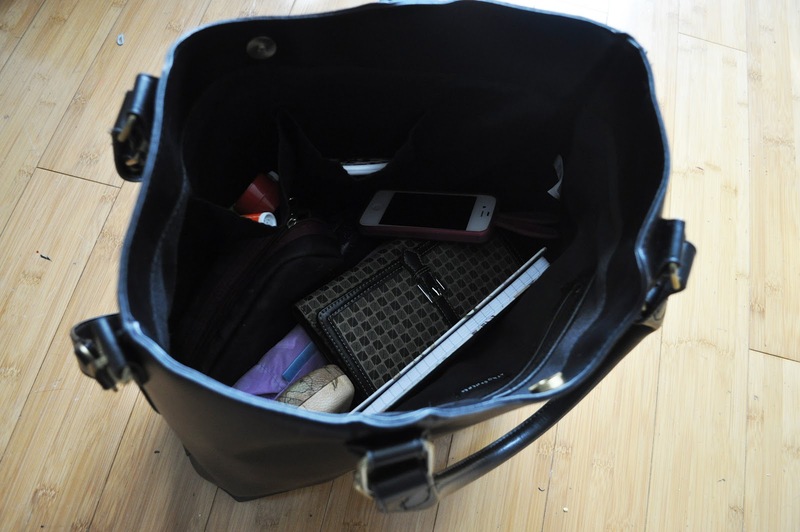 The only thing that really changes is my makeup bag, which depends on what make-up I am wearing on that day. Typically I just carry my concealer, mascara, a blush and a lipstick in there, as well as some hair bands, hair grips and perfume samples which I always keep in there just in case. 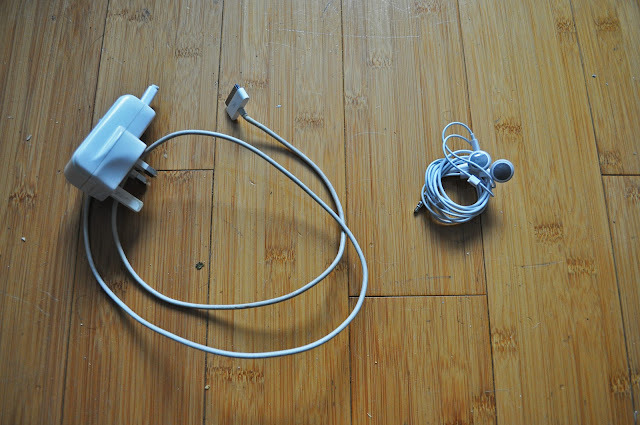 If you are an iPhone user, you will know how awful the battery life is, so I always carry a spare charger around so I can charge it if I need to. God knows why I carry my sunglasses with me, they haven't seen daylight since my trip to France in July haha! I hope you enjoy this post! Have you done something similar? I would love to have a nosy! Labels: Update, What's In My Bag? I love the lace detail on this playsuit- I think it looks like a little cape, which is so unique and delicate-looking. This is such a basic jumper but it looks so comfortable and lightweight making it great for layering for the bipolar weather we seem to experience in the Autumn. Blue isn't a colour that appears in my wardrobe often but I love this cobalt blue shade. I am really getting in to the tassel trend lately, even though I don't own anything with the fringe detailing yet. I really like this top and I actually think it could be very versatile- tucked in to denim shorts for the day time and with disco shorts/ pants for a night time look. I was very uncertain what I thought about these jackets when they first came out but the hype has definitely caught on to me! This is the original River Island version, but there are plenty of dupes and variations out there so I think I am going to shop around for my perfect one! I am loving the amount of burgundy that has popped up on the LOVE website recently- burgundy is one of my favourite shades to wear for Autumn/Winter. This dress has made an appearance on one of my previous wishlists in black, but I really love this version and I think the burgundy looks much nicer with the black waistband. I hope you like my picks for this week! 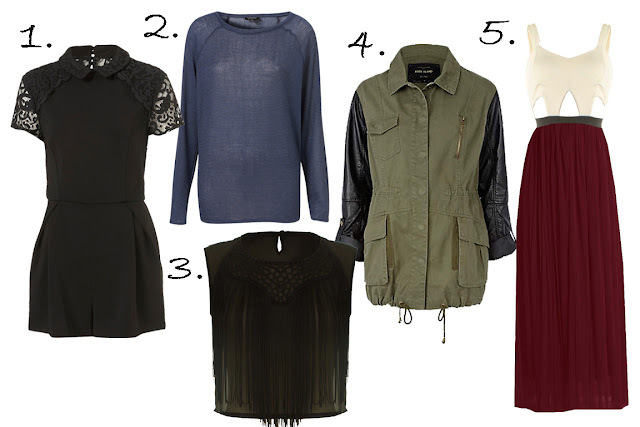 What is your favourite A/W12 trend? I am a little fussy when it comes to bodycon dresses; they need to do exactly what they're meant to and fit my body like a glove. This Missikon flower bodycon dress doesn't fit me as snugly as I would prefer (the size 8 would probably fit a size 10 better, you can see it is a little baggy around my arms), but I absolutely adore the colours and print so I thought I would make it work by wearing it as a top tucked in to my shorts. What do you think? My shorts and my boots you have all seen before, they are staples in my wardrobe and I pretty much live in them; they are both so frickin' comfy! You have probably noticed that I have changed the size of my photographs so that the width of the portrait photos are the same as that of the landscape photos; do you prefer it this way? I personally think it looks a lot neater... Also, how is the quality of them? I had a little trouble when I was testing out the new sizing on here and the quality seemed to be really bad once I had uploaded them. I think I may have fixed it now but I will let you be the judge of that! I hope you like my outfit! *DISCLOSURE: Starred items are PR samples or were paid for using a voucher code.